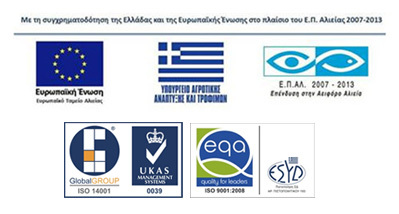 Aeolus Yachting agency was established in Potos, Thassos in June 2014. The agency owns and operates a brand new HANSE 385 sailing yacht recently purchased in May 2014. Nikos Kouvakas is the founder and operator of the business. He spends his time between his hometown of Thessaloniki, and the island of Thassos where he spent much of his childhood. After the completion of his business studies towards a Bachelor in Marketing from the Technological Institue of Thessaloniki, Greece and the Ecole Superieure de Commerce, Rennes, France. Nikos decided to pursue an Msc degree in Business Management at the University of Edinburgh/ Scotland, UK. After his studies and experiences abroad, Nikos decided to establish a tourism agency on the island offering personalised sailing cruises. His passion for sailing with experiences as a crew member in various regattas around Greece helped him to achieve this dream. “Aeolus Yachting’s” key goals are to provide guests a unique opportunity to experience the island, its history, and its secluded beaches while enjoy authentic Greek cuisine prepared onboard with local ingredients from Thassos. In essence, we aim to provide a memorable day at sea experiencing friendly Greek hospitality. Graduated from Blue Aegean Yachting Offshore Sailing School in Thessaloniki (Recognized by the General Secretariat of Athletics of Greece) (2004). He has participated in numerous bareboat yacht charters and private yachts deliveries in North Aegean Sea, Sporades Islands and Chalkidiki region. Member of Nautical Club of Thessaloniki since 2011. Since then he has been participating in the Annual Thermaikos Sailing Cup as pitman. Participated in the International North Aegean Sailing Week along with the Hellenic Cup in Skopelos island in the Sporades region (2011) and in the Aegean Regatta (2012) as a genoa/headsail trimmer. His sailing experience is in cruiser yachts such as Bavaria 45ft, Jeanneau 38ft, racer/cruisers yachts such as Grand Soleil 40ft, Comar Yachts 45ft and racer yachts such as X-Yachts 38ft, Farr 36ft.